The Legendary Group Kicks Off A Summer Tour with The Release Of A Collection Of Group And Solo Demos, Including Early Versions Of "Marrakesh Express," "Almost Cut My Hair," "Long Time Gone" And "Love The One You're With"
LOS ANGELES - As members of one of rock's first supergroups, David Crosby, Stephen Stills, and Graham Nash helped define the Woodstock generation through their peerless harmonies, resonant songwriting and deep commitment to political and social causes. The trio will tour this summer in both the U.S. and Europe, with more dates to be added to the U.S. leg. In between the late-spring North American and early summer European segments of the tour, Crosby, Stills & Nash will be inducted into the Songwriters Hall of Fame on June 18 in New York City, and before the tour begins, Rhino will offer a behind-the-scenes look at the group's early days with a collection of 12 previously unreleased demos recorded between 1968 and 1971. 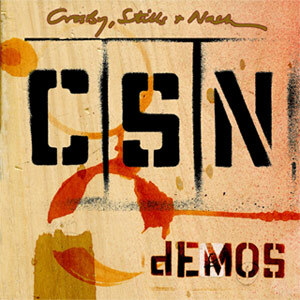 CROSBY, STILLS & NASH DEMOS will be available June 2 from Rhino Records at all retail outlets, including www.rhino.com, for a suggested list price of $13.98. While many demos feature members performing solo, the opening cut includes all three harmonizing on the Nash-penned hit "Marrakesh Express," recorded four months before the release of the trio's eponymous debut in 1969. Crosby and Stills can be heard on another song from that blockbuster album, "Long Time Gone." The two recorded the demo in June 1968, just a few weeks before Nash joined the group. Neil Young, whose arrival in 1969 launched CSN&Y, performs with Crosby and Nash on "Music Is Love," a song the three cowrote that appeared on Crosby's 1971 solo debut, If I Could Only Remember My Name. Crosby flies his "freak flag" alone on the anthemic "Almost Cut My Hair," a track featured on the group's 1970 #1 album Déjà Vu. Stills performs unaccompanied on a 1968 demo of "My Love Is A Gentle Thing." 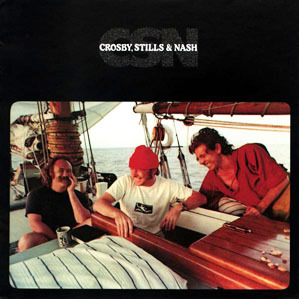 Recorded in 1968, the song was never released on a studio album, although a 1975 recording of the track did surface in 1991 on the boxed set CSN. Nearly all of the tracks on CROSBY, STILLS & NASH DEMOS were recorded at Wally Heider studios, a popular recording destination on the West Coast for everyone from Jefferson Airplane to Creedence Clearwater Revival. Nash chose Heider's studio to record his 1971 solo debut, Songs For Beginners, demoing much of the album there as well. This collection includes three of those demos: "Sleep Song," "Be Yourself," and the politically charged "Chicago." For more information on Crosby, Stills & Nash and for updated tour information, please visit www.crosbystillsnash.com. For additional information regarding CROSBY, STILLS & NASH DEMOS, please contact Christoph Buerger in the Rhino Entertainment Media Relations Department at (818) 238-6248 or christoph.buerger@rhino.com. 3. "You Don't Have To Cry"
6. "My Love Is A Gentle Thing"
12. "Love The One You're With"